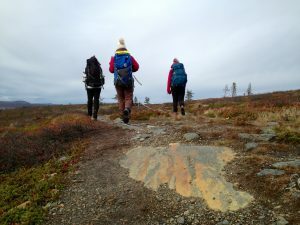 Within the first month that we had been studying in Adventure and Outdoor Educator programme at Humak, we were going to do our first multiday hiking trip in Pallas-Yllästunturi National Park. 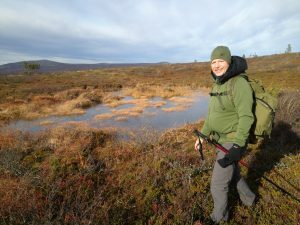 After two weeks of getting to know about the gear, navigation skills, layering, food planning, and working in groups etc., it was time to put it all together and see if we could make it in Finnish wilderness. Being led by knowledgeable guides and teachers, Kai and Saara, we were feeling confident and excited. Our hike began from the parking lot at Ketomella from where we started walking towards Hietajärvi. The weather was surprisingly good and our walking felt great. The scenery was amazing, surrounded with beautiful autumn colours. So exciting! At the end of the day, we arrived next to Tappuri wilderness cabin where we set up our tents for the night. The weather was challenging, it was windy and rainy, but everything went well and our group slept reasonably well given the conditions. Next morning it was still windy but the journey continued towards Hannukuru. On our way, we saw a big herd of reindeers, which was kind of a magical experience! Finally, we arrived to Hannukuru wilderness hut and started to settle in to prepare for the evening of sauna and possibly a dip in the lake. On the morning of the first day in Hannukuru, we started outside with some small workshops led by the students from our class. The workshops consisted e.g. 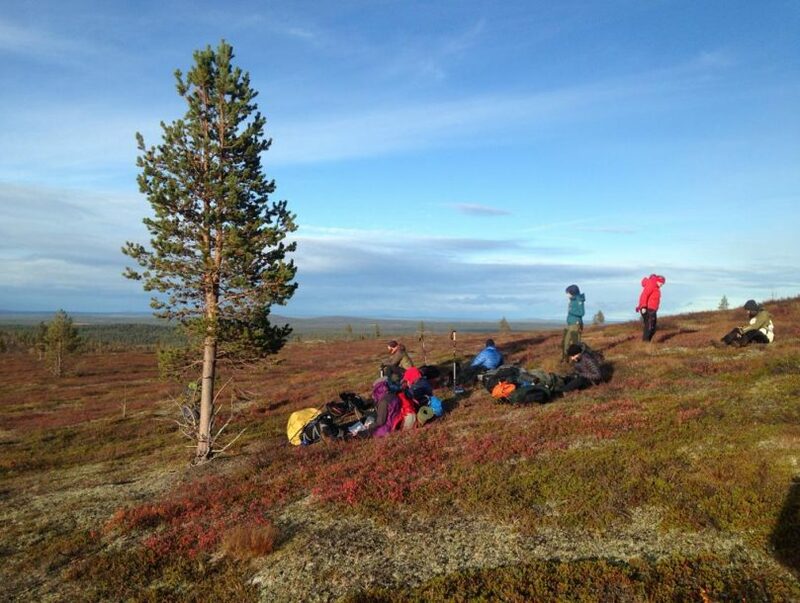 wilderness skills including knife and axe handling, everyman’s rights, and history of Pallas-Yllästunturi National Park. Later in the evening, we gathered inside to reflect and share some of the highlights of our experiences during the week and to give feedback on the workshops. Given the circumstances of some ankle injury and flu symptoms in our group, it was decided that we would not continue with our original plan but would instead stay in Hannukuru and do shorter day hikes around the area. In the morning, we were divided into small groups based on our route selection. Within the groups, we needed to plan the schedule of the hike, including breaks and transitions, followed by a safety and gear plan. Once we were set, it was time to hit the trail again! Next morning we participated in an interesting lesson, “how to poop in the woods”, which of course is an important skill to master on a hike. Then every tent group needed to plan a small play or game that would be carried out after lunch for everybody. In the evening, we gathered inside to reflect the games and planned next day’s hike back to Ketomella. With the advice given by our teachers, we left early in two groups. In each group, we had two students acting as navigators and group leaders. The scenery was stunning with snowy tops around us and it really felt like an adventure! The atmosphere was happy and we enjoyed our last lunchbreak at Hietajärvi and the last part of our hike in Pallas-Yllästunturi National Park before arriving back to Ketomella. These five days in Lapland gave us memorable experiences. If it had not been so much fun, it would have been almost sad that it ended. For some students it may have been enough and for some it was not enough at all! The hunger for adventure grows, and the one thing is sure: we all got some real confidence of how to survive camping for multiple days in Finnish wilderness. After the experience, it was about time to recharge and start planning for the next adventure.